Admin History: In 1874, Joseph Stevens, an engineering blacksmith, set up the firm J Stevens & Co in Cross Street, Wednesfield. 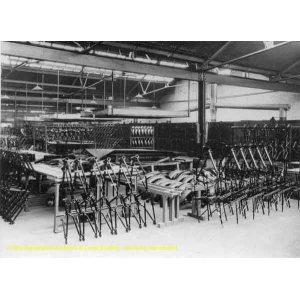 In 1894 the company moved to Tempest Street, Wolverhampton where Joseph's son Harry successfully built a single cylinder, four-stroke petrol engine. As a result, they decided to manufacture engines and set up the Stevens Motor Company in 1899. With an interest in powered transport, the first Stevens-built motorcycle was produced in 1903. They moved to new premises at the Fort Works, Pelham Street in 1904. 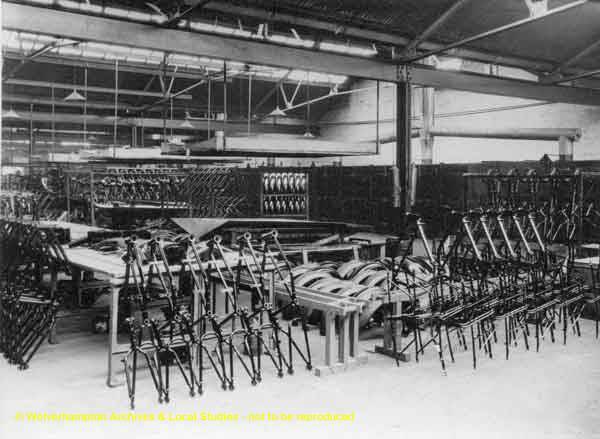 In the same year, the company was registered as the Stevens Motor Manufacturing Company Ltd. Further premises were obtained by the company in Retreat Street where they decided to produce their own motorcycles under the name AJS. A new company was set up in 1909 with a share capital of 1,000 called A J Stevens & Company Ltd. The directors were Harry, Joe (junior), Jack and George Stevens. The company expanded and additional finance was required so a new public company was set up in 1914 called A J Stevens & Company Ltd. with a nominal share capital of 50,000. Production moved to Graiseley Hill in 1915. By the 1930, sales had begun to fall and the company encountered financial difficulties. In 1931 the company went into liquidation. Matchless Motorcycles purchased the AJS name. They became part of Associated Motorcycles in 1938 who in turn were taken over by Manganeze Bronze Bearings in 1966.